Planned gifts are a meaningful way to provide generous support for Maine Historical Society. They require no outlay of financial resources while alive and the long-term benefits of such foresight are immeasurable. The work of collecting and preserving Maine's rich history is important not just for ourselves, but for those who come after us. By including a gift for Maine Historical Society in your estate plans, you make a promise to future generations that the artifacts and stories of Maine's heritage will always be there. Your generosity lives on, leaving a legacy that enriches the lives of those who come after you. Bequests to charity through a will or trust are the most common type of planned gift. There are many planned giving options with significant tax savings. A charitable gift to MHS through your will or trust can reduce your overall estate value thereby reducing estate taxes for your heirs. You can direct a gift of cash, tangible property, real estate or intangible assets such as stocks and bonds. You can leave a percentage of your total estate or a specific gift amount. If you give appreciated assets to charity, you are eligible for a deduction for the full fair-market value on the date of gift and avoid payment of capital gains tax. Planned gifts are a significant way to secure your own financial future while providing generous support for Maine Historical Society. There are a variety of estate planning vehicles, each with unique benefits, such as charitable remainder trusts, charitable gift annuities, gifts of real estate, appreciated stock, life insurance policies, and retirement plans. The Development Office can assist you and your financial advisors in making the kind of gift most appropriate for your circumstances. You can reach us by phone at (207) 774-1822, or email advancement@mainehistory.org. The Anne Longfellow Pierce Legacy Society was created to recognize the foresight and generosity of individuals who have made a planned gift or included Maine Historical Society in their estate plans. 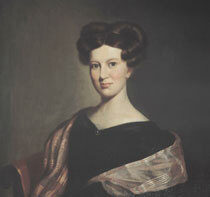 This special recognition society has been named after Anne Longfellow Pierce, who in 1895 decided to bequeath the home occupied by three generations to the Maine Historical Society as a legacy to the memory of her brother Henry Wadsworth Longfellow. If you have made a provision for Maine Historical Society in your estate plans, thank you. To be recognized in the Anne Longfellow Pierce Legacy Society and Annual Report, please call or write the Development Office.